Miami University, where Dave Eicher went to college, will host him for an invited physics talk next spring. 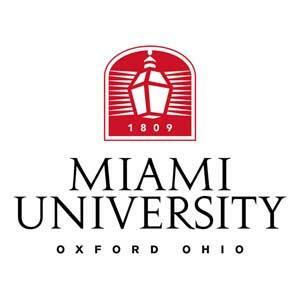 Oxford, Ohio: Miami University, founded in 1809 and often called a “Public Ivy” for its terrific academic and student offerings, hosts an annual invited physics lecture, the George C. Benson Memorial Lecture, to honor a young man who was lost to the university community far too soon. In April 2018, David Eicher, Editor-in-Chief of Astronomy Magazine and science popularizer, will deliver the annual lecture in his native town. Eicher’s father John was a professor of organic chemistry at Miami for 37 years and Eicher himself grew up in Oxford and went to university there. Now, 35 years later, he will return and deliver “The New Cosmos: Astronomy’s Ongoing Revolution,” on Thursday evening, April 12, 2018. The event is a public lecture and all are invited to attend, to hear from Eicher about the latest developments in astrophysics and planetary science, from the formation of the Moon to water on Mars to the structure of the Milky Way Galaxy, the Big Bang, dark matter, dark energy, black holes, and more. Past Benson lecturers have included the distinguished astronomers Allan Sandage (who also attended Miami), Arlo Landolt, Michael Turner, Leon Lederman, Alan Boss, Lawrence Krauss, and Stacy McGaugh. Further details about the event will be distributed at a later date. The George C. Benson Memorial Lectures are in honor of a man whose memory lives with those whose lives crossed his. George spent the years 1960 to 1962 at Miami earning his Master's Degree in Physics. A native Ohioan, he attended public schools in Lodi, Ohio prior to entering Wittenberg College, class of 1958. For two years he taught high school physics, chemistry, and general science at Olmsted Falls, Ohio. His next two years in Oxford gained him the friendship and respect of faculty, fellow students, and others who knew him. His outstanding performance continued at the University of Michigan, where in December 1966 he earned his Ph.D. in Physics, his dissertation topic being "Mesons and Spectator Protons at 3.65 BeV/c." Three months later he died in an airplane crash which killed all aboard. For years these lectures have brought distinguished speakers, including three Nobel Laureates, to the Miami University campus. The talks have been interdisciplinary in nature, showing the relationship of physics to other fields of human endeavor. They have ranged in subject from Henry Margenau's discussion of the interaction of physics and philosophy to discussions of the relevance of physics to music, medicine, and our environment. The public, as well as the university community, is encouraged to attend all talks. If you would like to help continue this valuable lecture series, please send a contribution addressed to "Miami University Fund - George C. Benson Memorial Lectures."